Real federal government consumption expenditures and gross investment decreased 1.5 percent in the second quarter, compared with a decrease of 8.4 percent in the first. National defense decreased 0.5 percent, compared with a decrease of 11.2 percent. Nondefense decreased 3.2 percent, compared with a decrease of 3.6 percent. Real state and local government consumption expenditures and gross investment increased 0.3 percent, in contrast to a decrease of 1.3 percent. 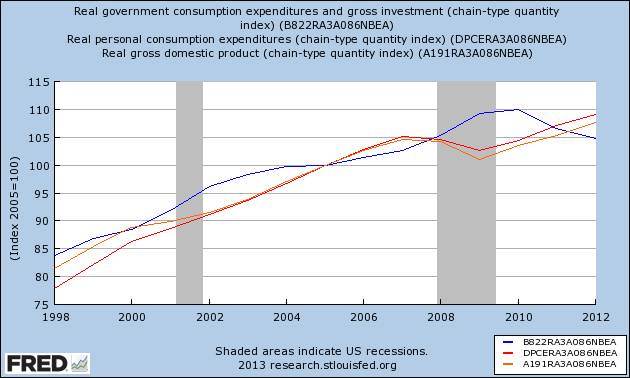 Yes austerity does work, and it produces slower growth, and it will by Okun's Law produce higher unemployment rates. This are well established empirical regularities. "the dominant European narrative of the United States now as then is utterly misleading. It’s the notion that we have somehow in the thirty years since Ronald Reagan transformed ourselves into a free-market, deregulated, privatized, flexible labor market, weak-welfare-state country, which, if you just cast your memory back to the 60′s and 70′s, a totally unrecognizable view of the country, a country that was built by Roosevelt and Kennedy and Johnson, especially Roosevelt and Johnson, and which had extended even into the Nixon administration, which had and has a very substantial social insurance, public investment and regulatory framework. Many things about this have been under assault, some of them have failed entirely, including the regulation of finance, but this is not a Hayekian vision that has triumphed, but rather the one I described in my book, The Predator State. The real politics of the country controls these apparatuses and how much of the benefits are diverted to cronies and oligarchs and political constituents, which captures what happened in the Clinton and the Bush years – and ongoing, of course." This was first discussed by Jamie in his paper "What is the American Model Really About," which argues that the public sector supports more than half of the economic activity in the US, and in so doing is the main force behind the growth of the economy as a whole. "Summers’ policy inclinations remain questionable. Along with much of the economics profession, he now acknowledges the need for greater financial regulation, (although there also remains an underlying intellectual bias among economists against regulation). As for fiscal policy, he has shifted from austerity now to austerity later when economic recovery is more entrenched. Beyond that, little else has changed. 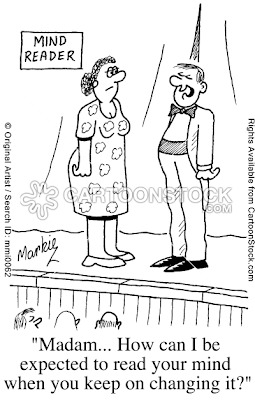 In economics, it is difficult for an old dog to learn new tricks." Or at least is what the Ngram Viewer suggests. Below starting in 1919, after the publication of Keynes' The Economic Consequences of the Peace. Note that after the spikes with his books on the business cycles in the 1930s, and the slightly larger spike after the Road to Serfdom in 1944, Hayek drops to re-emerge only after the Sveriges Riksbank Prize (aka Nobel). Keynes on the other hand has a surge after the General Theory in 1936, and remains with the same level of popularity, with no decrease even in the 1970s, the period of the so-called crisis of Keynesian economics. Both seem to decrease in popularity right before the last crisis. "Rumor has it that China is set to accelerate the de-regulation of its financial system. For years, China has restricted the ability of its residents and foreign investors to pull and push their money in and out of the country. While that may be illiberal, there was a sound reason for this restriction: Every emerging market that has scrapped these regulations has had a major financial crisis and subsequent trouble with growth." "Larry Summers has an edge as the most creative thinker likely to successfully think outside the box should outside-the-box thinking be called for, and least likely to bind himself to an institutional consensus past its sell-by date. If times are placid, the stakes are small. If times are turbulent, outside-the-box thinking has its place. Therefore I have a slight preference for Summers." While it is arguable if Summers is more creative than Yellen and other possible candidates, I wouldn't disagree that thinking outside the box is an advantage. That's why an heterodox economist would be even better, without false preoccupations about inflation. But in all fairness the best alternative, and one that would be more likely from a political point of view, would be to appoint a politician, rather than an academic economist, someone like Elizabeth Warren, with no knowledge of the natural rate of unemployment and that does not "fear high inflation as they fear a tornado." By the way, it was brought to my attention that someone using my name has posted on this website called Econ Job Rumors, were anonymity leads insecure and, I assume, mostly young economists to write vicious things about each other. Just to make it clear, I have not and have no intention of posting anything there. In a previous post I noted the rise in the share of South-South trade. 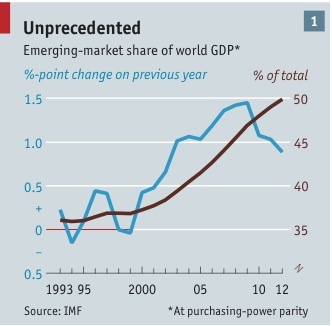 Below is the expansion of developing countries' share in total world GDP (source here). 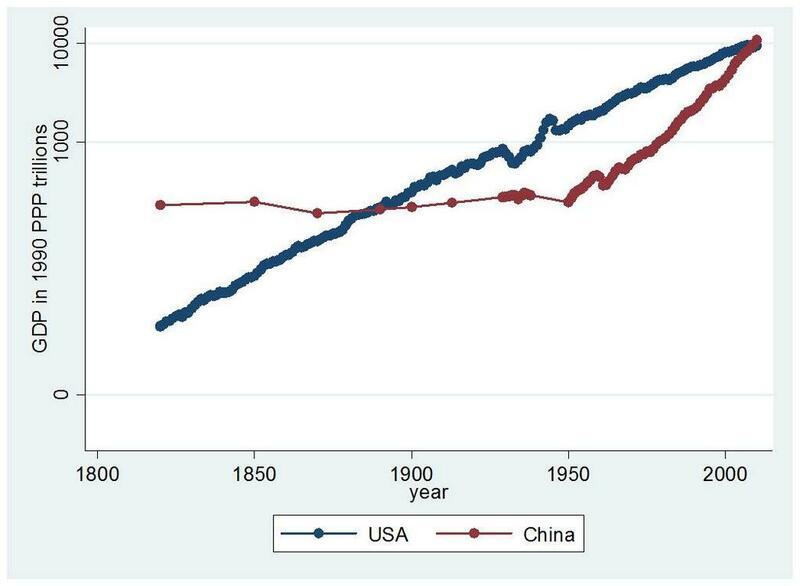 The expansion reflects to a great extent the rising share of China. At PPP the share of developing countries is now at around 50%. In the 1990s Fernando Henrique Cardoso, the one time sociologist and dependency theory author, turned politician and president of Brazil said that people should forget about what he had written in the past (on dependency theory). Something similar could be said about the economists at Catholic University in Rio de Janeiro, who were the main economic advisors to Cardoso during his presidency. * They seem to have forgotten what they wrote in the past. An interesting case of the switcheroo from heterodox to mainstream is Edward Amadeo (Labor Minister during the Cardoso administration, even though he had connections to the Worker's Party up to the early 1990s), author of a very good book on Keynes (Keynes' Principle of Effective Demand), based on his dissertation at Harvard supervised by Murray Milgate and co-supervised by Lance Taylor (who was at MIT at that time), with a preface by Vicky Chick. The book is still the best interpretation of Keynes' General Theory, and its relation with the Treatise on Money. Among other things Amadeo shows that the conventional view which assumes that Keynes moved from an interpretation of the system with flexible prices and fixed quantities in the Treatise to one of fixed prices and flexible quantities in The General Theory (GT), as interpreted by Leijonhufvud for example (see his classic On Keynesian Economics and the Economics of Keynes), is incompatible with a careful reading of chapter 19 of the GT (Amadeo, 1989, p. 4). Further, Amadeo correctly points out that the transition from the Treatise to the GT involves a change from a dynamic theory of the trade cycle in historical time to an equilibrium theory of the level of output, one in which the flexibility of prices does not guarantee full employment. And obviously the level of activity is determined by demand. Amadeo also wrote a few papers on what we would now call the Kaleckian models of growth (see here; subscription required). "redoubled the emphasis on education, promoted savings, done the labor reform, flattened the tax structure, promoted global integration, invested in infrastructure and modernized the public administration." Note that the emphasis is on supply-side policies (with the exception of investment in infrastructure, which was actually accelerated during the Lula administration so-called PAC). And yes he suggests that savings would have lead presumably to investment and growth in a typical Solow model result, meaning Say's Law. One could go on and discuss the other incompatibilities with almost all his previous work (not sure if he wrote something theoretical in a neoclassical perspective), for example the defense of labor reform (meaning lower wages) to promote growth and employment (the opposite of what the GT says). Or the silliness of suggesting at this point that more liberalization (global integration) along the lines of the Washington Consensus would really work. Or the fact, that he seems to believe that fiscal adjustment is necessary now in Brazil and that this would be compatible with higher growth (contractionary expansions). But the remarkable thing is at the end of the day the complete 180 degree change in theoretical perspective, with no justification of what made him change his mind. I assume that in his case we can paraphrase Keynes and suggest that when proven correct, he changes his mind. * Other economists close to Cardoso, like Serra from the more radical Unicamp, also moved to the right, favoring privatization and fiscal adjustment, but arguably abandoned academic economics long ago, being like Cardoso politicians. Finally, some economists from the Fundação Getúlio Vargas from São Paulo, like Bresser Pereira, remained more heterodox, and defend now something called New Developmenatlism. I'll leave comments on that for another post. When did the term macroeconomics become dominant? I discussed before the origin of the term macroeconomics (here). The term was introduced most likely by Ragnar Frisch, and become associated with the Keynesian Revolution. Before the rise of the macro/micro divide economics was divided between monetary theory (which roughly corresponded to the macro part) and theory of value and distribution (the micro one). Using my new toy in Google Books we can see when the new terms became dominant. Note the term macroeconomics takes a very long time to become part of the vocabulary of economists. If Ngram Viewer is to be trusted, only in the 1970s the term macroeconomics became more relevant than monetary theory (which now would be more a sub-field of macro). Google Books has an interesting feature that allows to search words or combinations of them in its huge database. Below the use of Political Economy and Economics from 1776 to 2008 (last possible year in the database). Note that there is no surprise. Political Economy dominated up to the Marginalist Revolution, with a lag for Economics to take over. Note the spike in Economics around 1890, which probably reflects references to Marshall's Principles of Economics, which marks the begging of the transition. Since the 2000s, there has been a decline in Economics, and mild increase in Political Economy. But I wouldn't be very optimistic about it. Political Economy now comes in a marginalist flavor too. From a history of economic thought point of view the turning point in the demise of the Keynesian Consensus based on the Neoclassical Synthesis was Friedman's rediscovery of Wicksell's natural rate. It was peculiar, in a sense, that it happened in the 1960s when the capital debates demonstrated (and was accepted by Samuelson, the High Priest of the Neoclassical Synthesis) that the natural rate made no theoretical sense. That led to a more significant and insidious change in economics. The abandonment of the notion of long-term equilibrium method, as noted by Garegnani. Briefly stated, what the process entailed is that confronted with the fact that there is no possible way to relate some measure of capital with its remuneration (the idea that abundant capital would lead to a low level of remuneration, i.e. a low rate of interest, and the analogous one that full employment of capital could be obtained with a sufficiently low rate of interest) the mainstream reverted to the Arrow-Debreu (AD) notion that different types of capital had different remunerations and there was no tendency to a uniform rate of profit (interest). That, as noted by Garegnani, was a departure from the traditional method of economics. Up to the 1930s all economists, including the marginalists (neoclassical) ones did follow it. Note that the long-term, associated with the uniform rate of interest (or profit), is a methodological instrument, not a particular period of chronological time. The long-term is just a period in which no variables are constant or fixed, and the process of competition, that allows for new entrants in every sector (with perfect competition) to lead to a uniform rate of interest. The short-term is by symmetry a situation in which something precludes the long-term situation to be achieved. For example, a typical short-term macroeconomic assumption is to assume a given level of productive capacity. The demand effect of investment (demand for equipment and installations) is taken into account, but not the capacity effect (the increase in the number of machines and plants). The Ultra Short Run: the period of about 9 months during which investment plans adjust—primarily as existing investment projects finish and new projects are started—to gradually bring the economy to short-run equilibrium. The Long Run: what the economy looks like after investment, prices and wages, and capital have all adjusted. In the long run, the economy is still evolving as technology changes and the population grows or shrinks." Yes, that now passes for clarity of thinking. Short-term is a period of chronological time, long-term is conceptual methodological position. The confusion is compounded by the fact that he is trying to clarify what he sees as "a lot of confusion about the natural interest rate ... [and] the main source of confusion is that there is both a medium-run natural interest rate and a short-run natural interest rate." The natural rate is by definition a long-term position. Old marginalists, like Wicksell or Marshall didn't think the system was at the natural rate in the short-run. It gravitated around it in the long-term. This idea of a short-run natural rate, derives from the AD short-run notion of a system that is always in equilibrium. And then he does use an aggregative version of an ISLM model (which is a long term sort of equilibrium notion). But he has no clue about the capital debates and its consequences. Oh well. Why the crisis didn't discredit mainstream (neoclassical) economics? There are probably many answers to the question. I suggested before that the best way to look at it is from a sociological standpoint. The same people hold the same positions at the key 'respectable' universities, go to the same 'relevant' meetings, and award the same 'important' prizes. And research does build on previous research. Let alone that the economics profession, like the others, is there to protect and reproduce the status quo. "[...] the first INET meeting at Cambridge University in 2010 bore some small promise—for instance, when protestors disrupted the IMF platitudes of Dominique Strauss-Kahn in Kings great hall, or when Lord Adair Turner bravely suggested we needed a much smaller financial sector. But the sequel turned out to be a profoundly more unnerving and chilly affair, and not just due to the caliginous climate. The nightmare scenario began with a parade of figures whom one could not in good conscience admit to anyone’s definition of “New Economic Thinking”: Ken Rogoff, Larry Summers, Barry Eichengreen, Niall Ferguson and Gordon Brown ... The range of economic positions proved much less varied than at the first meeting, and couldn't help notice that the agenda seemed more pitched toward capturing the attention of journalists and bloggers [oh my, I'm included in this one], and those more interested in getting to see more star power up close than sampling complex thinking outside the box. It bespoke an unhealthy obsession with Guaranteed Legitimacy and Righteous Sound Thinking." "The austerity policies of the last five years can hardly be regarded as a true policy shift. They should rather be seen as a continuum with respect to the entire European Monetary Union (EMU) experience, to whose overall policy stance they just contribute a toughening up. Ever since the Treaty of Maastricht in 1992, and even more from the birth in 1999 of the European Central Bank (ECB) as a monet- ary authority, the average rate of growth of real income in the Euro area has been very low by historical standards, contributing to the persistence of the area high levels of unemployment, largely as a result of the inflation rate having been the ECB’s overriding policy objective." Note that the austerity imposed on almost every European country is part of a larger project of dismantling the Welfare State. In fact, Pivetti refers to the Euro as: "the infernal machine: a machine born out of a deliberate continental project to undermine wage earners’ bargaining powers." If you can, given the topic, enjoy these great and penetrating papers! Krugman is right: "Macroeconomics is all wrong"
Krugman seems to be surprised to find out that there is no direct relation between fiscal deficits and higher interest rates, and that for the most part the relation seems to be upside down. He gets everything right, including the bold claim that mainstream macro [the only one he acknowledges, even though he knows better] is all wrong. And seriously why is he surprised that crowding out does not hold water?! It's not new that the evidence for crowding out is weak, at best. 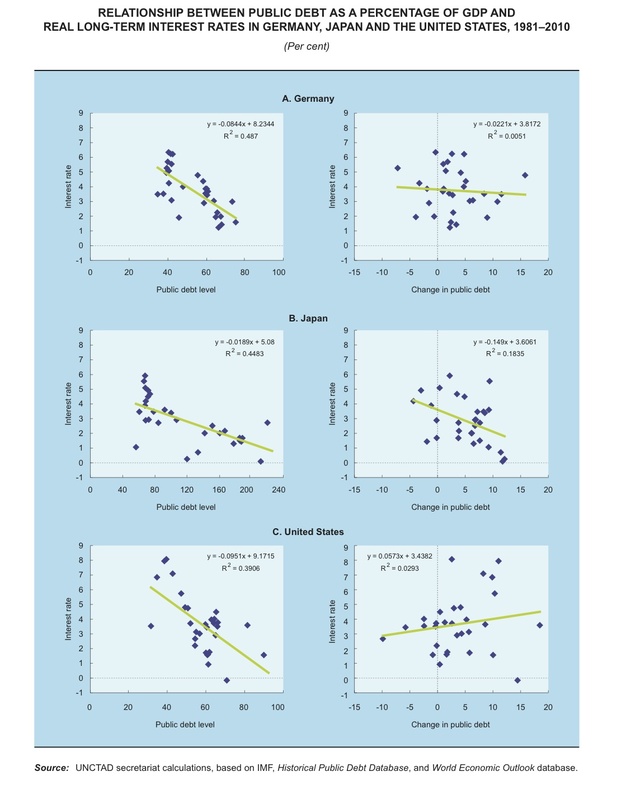 For the most part the evidence on the positive effects of fiscal policy on the level of activity has been well established (see here Eisner, and here a review by Arestis and Sawyer). Note that essentially the surprise comes from the fact that Krugman does accept the natural rate (for more on this go here). In that case, conventional wisdom says that it must be true that if the level of output is above its natural level (or the actual unemployment rate is below the natural, or, finally, the rate of interest is below the natural) then prices would increase and eventually credit would contract (as bank reserves decrease, or as the real balances fall) leading to a higher rate of interest. The monetary rate of interest would approach the natural. So, if the evidence for that is not there, shouldn't Krugman, like Keynes [when shown that real wages were pro-cyclical he abandoned the notion of a marginal decreasing schedule demand for labor] revise his views? Further, if one accepts the notion of endogenous money (or MMT) then it cannot be assumed that successful fiscal adjustment (lower deficits) will lead to lower interest rates, since those rates are managed by monetary authorities. Yes the Fed normally manages the short-term rates, but the long-term ones usually follow (only before recessions, and for a short while, yield curves becomes downward sloping). And if necessary the Fed can directly intervene on long rates, as it did during the Great Depression and WW-II, and now with QE. At any rate, some more evidence that supports the notion that fiscal expansion does not affect interest rates according to what the mainstream would suggest. Below the relation of interest rates and, instead of using fiscal deficits, public debt (source here). As you can see there does not seem to be a relation between higher public debt and higher rates of interest. In fact, most of the time the relation goes in the wrong direction. Yes, Krugman is right, macro is all wrong, and he should abandon his model, which would be the only coherent thing to do. The big news this week is that Detroit filed, or tried to, for bankruptcy. Some have compared the Motor City crisis to the European, and in particular Greek, crisis. And in the essential that is fine. Detroit is, like Greece has become, a sub-unit of a larger entity and does not control monetary policy. But the analogy does not help much in understanding the difficulties in Detroit. There is an important difference that has always been part of the discussion of the European crisis, and that is that if you are unemployed in Michigan you get Federal unemployment insurance, and a series of other federal funds support the less privileged. Fiscal transfers are relatively large, and certainly larger than intra-European transfers. According to the Tax Foundation in 2011, federal aid corresponded to 36.4% of the Michigan revenues [not the highest, by the way, which was Mississippi with 49%]. So, if it is far from clear that the European crisis [and in my view that includes the Greek crisis] was a fiscal crisis, then there is even less straightforward that the Detroit crisis is a fiscal one. In general debt crises are not fiscal, with the ones in countries for the most part being related to balance of payments problems [which can be aggravated by monetary arrangements, as in the case of the monetary union in Europe, or like Convertibility in Argentina back in 2001/2] or in the case of cities having demographic causes and the changing structure of production [Krugman noted this here, and I dealt with the case of Detroit before here]. In this sense, the deep causes of debt crises are associated to the patterns of productive specialization, which imply that they don't have enough resources to pay for essential imports (countries) and to provide for indispensable social services (cities). 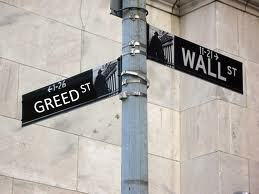 The important thing to note is that often there is a political objective that drives the debt crises. In the case of the Latin American debt crises of the 1980s was the push to open up the markets and force the so-called Washington Consensus policies. In the case of Detroit there might be good reasons to think that austerians want to use the need to cut Detroit's employee pensions as an example for a future cut in benefits and privatization of Social Security. 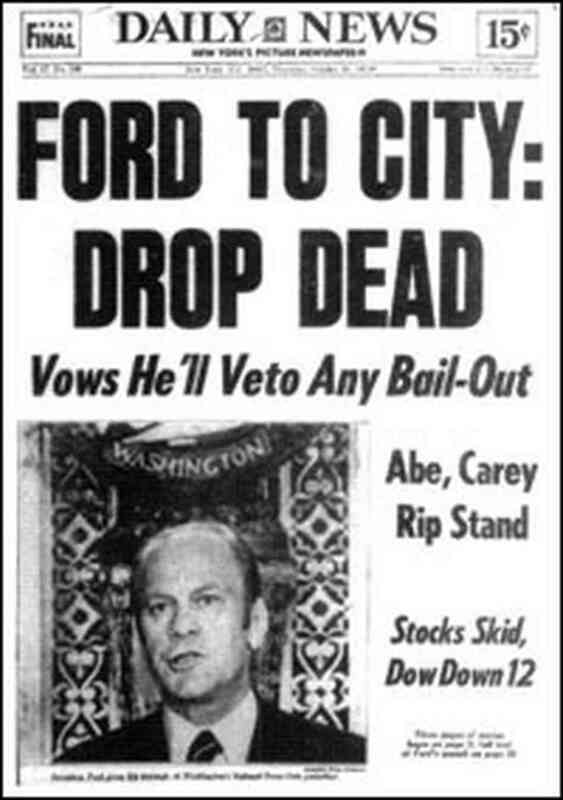 As much as the New York crisis of the mid-1970s was a harbinger of the conservative assault on the New Deal institutions brought by Reagan the Conservative Revolution, the Detroit crisis might signal things to come. From the old, but still essential, The Age of Uncertainty by John Kenneth Galbraith. The myth of consumer sovereignty, created by Paul Samuelson, unmasked and the fact that mainstream economics (as all economic education) is there to protect Big Corporations made clear by Galbraith. 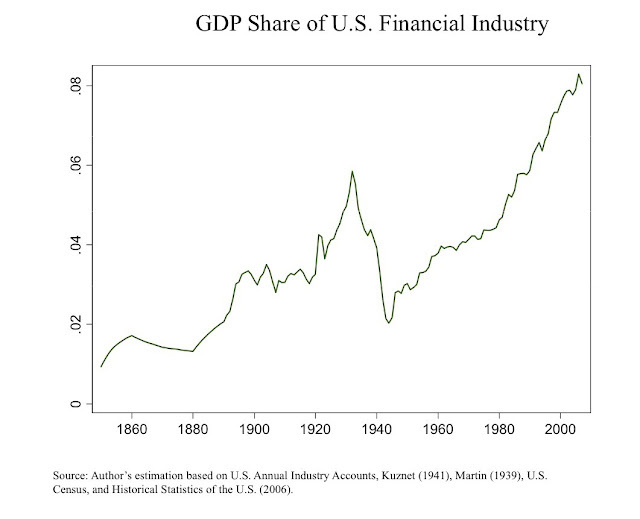 The graph below shows the the share of the Finance and Insurance industry in the GDP of the United States, estimated from 1850 to 2007 (source here; h/t to Eric Mielants for bringing the paper to my attention). 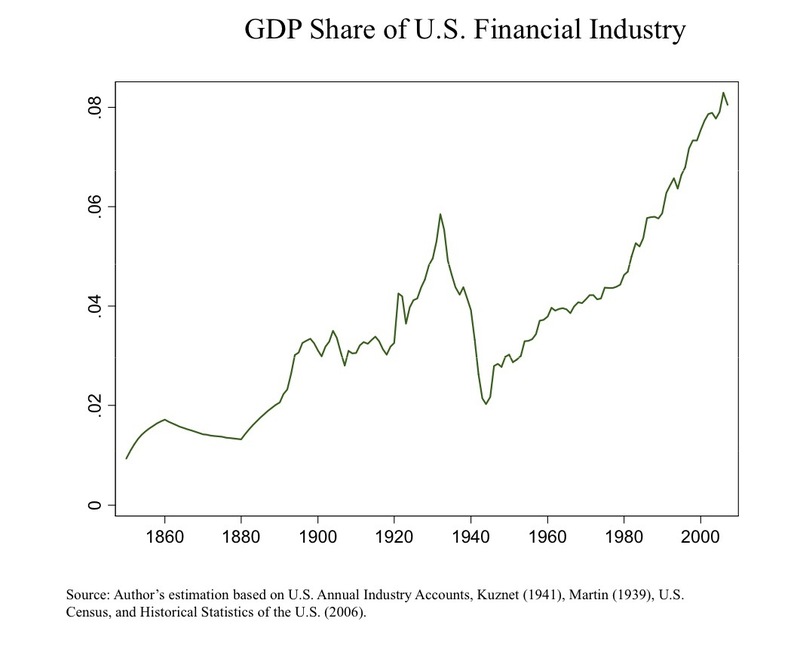 Note that basically there are three periods of increase in the financial sector's participation in GDP, the late 19th century, the 1920s, and if one discounts the partial recovery from the collapse during the Great Depression and WW-II period, the 1980s onwards. Deregulation has obviously something to do with this increase. "Summers was a key actor in the Clinton economic team that pushed for bigger and less regulated banks. He was there for the repeal of Glass-Steagall. He was also among those hectoring Brooksley Born, when the then head of the Commodity Futures Trading Commission argued that it would be a good idea to regulate derivatives. And he famously ridiculed as Luddites those warning of the risks of financial deregulation at the Fed's Greenspanfest in 2005." 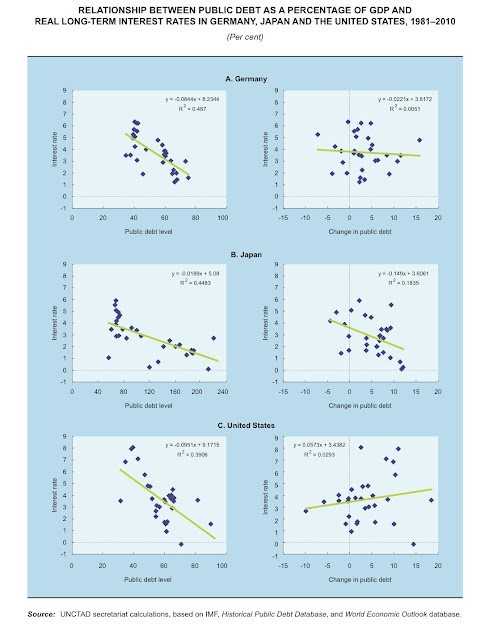 I'm less keen than Dean on the issue of US trade deficits, since in my view global imbalances are actually too small (the US would need to stimulate global demand and actually run higher deficits, which given the role of the dollar would have no significant impact on the American economy). "In the model I understand, inflation is mostly driven by demand, and when you increase demand, you increase inflation. And if you don’t increase demand, you don’t increase inflation. But if you’ve solved demand, you’ve solved your problem." This is basically a result of the believe in the natural rate. Inflation results only from a level of activity that is beyond the natural rate. The Money Illusion is correct in pointing out that this confuses changes in quantities with changes in prices. However, this is in fact probably a problem with all the candidates to the position of Fed chairperson, since they are all from the mainstream. That's why even Krugman [which the Money Illusion thinks doesn't have the right personality to chair the Fed, why because Summers does?] wants to increase inflationary expectations to raise demand. The confidence fairy is very pervasive. PS: The Money Illusion has a list of the candidates that would be even better than Yellen (preferred to Summers), namely: "Lars Svensson, Mark Carney, Michael Woodford, Christina Romer, Robert Hetzel, Nick Rowe, anyone from the Reserve Bank of Australia, even the janitor ... Greg Mankiw ... [and] I could even add Krugman." 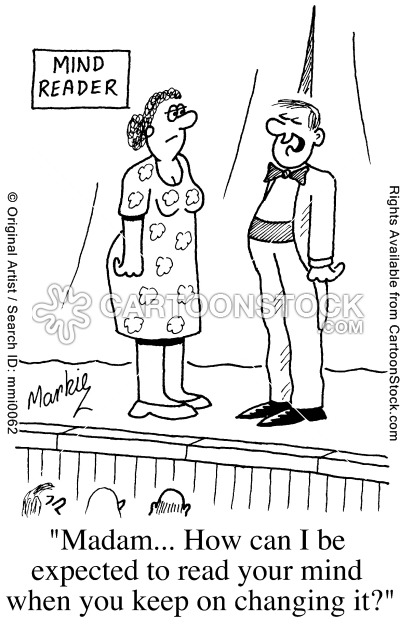 I don't know the janitor, but it seems reasonable. If I had to choose one it would be Jamie Galbraith. Hope springs eternal! PS: Pablo Bortz (h/t) pointed out this post by Yves Smith that somehow I missed. "Economic history at MIT reached its peak in the 1970s with three teachers* of the subject to graduates and undergraduates alike. It declined until economic history vanished both from the faculty and the graduate program around 2010." He notes that the most famous economic historian graduated from MIT was Christina Romer, which, it must be emphasized, in her famous paper on the Great Depression claims that fiscal policy (and to a great extent the New Deal) was not responsible for the recovery. For her it was the non-sterilized inflows of gold that increased the money supply [yep, the most important historian graduated at MIT is more of a Monetarist than a Keynesian; New Keynesians are peculiar that way; for more go here]. "In terms of the class struggle ... the coalition of theory and econometrics left economic history out of power in the counsels of economics. Proponents of the New Economic History were using more and more econometrics in their work, but they were no match for theorists." "is an example of Whig history in which good policies make for progress and bad policies preclude it. 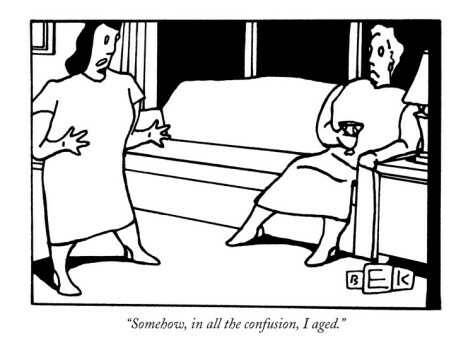 Only transitions from bad to good are considered in this colorful but still monotonic story. The clear implication is that if countries can copy the policies of English-speaking countries, they will prosper." For my critique of the book go here. At any rate, economic history, as well as history of economic thought, should be at the center of the teaching of economics. * Temin who was hired to replace W.W. Rostow, Evsey Domar and C. P. Kindleberger. Alexander Hamilton's reports to Congress go against the grain of much of the core principles of mainstream economics. Hamilton had read the main economic authors of his time, including David Hume and Adam Smith, both of which had a much more critical view of public debt than Hamilton did. He was also influenced by policy makers like Jacques Necker (see here; subscription required), a Genevan banker and finance minister of France just before the Revolution, and Robert Morris, who is often referred as the Financier of the Revolution (see Ron Chernow's biography of Hamilton). The Hamiltonian plan, which was to a great extent based on the British economic model, was based on the need to consolidate all debts incurred by the states under the Federal government, and to provide the latter with revenues from foreign trade, implying tariffs, and excise taxes (e.g on whisky) to allow to pay the interest on the new national debt. Hamilton argued famously in his Report on Public Credit that a well-funded national debt would be under certain circumstances a blessing, and writing about Jeffersonians* -- which would surprisingly look not very different than some members of the current GOP -- said that: "a certain description of men are for getting out of debt, yet are against all taxes for raising money to pay it off." "The superiority antecedently enjoyed by nations, who have preoccupied and perfected a branch of industry, constitutes a more formidable obstacle, than either of those, which have been mentioned, to the introduction of the same branch into a country, in which it did not before exist. To maintain between the recent establishments of one country and the long matured establishments of another country, a competition upon equal terms, both as to quality and price, is in most cases impracticable. The disparity in the one, or in the other, or in both, must necessarily be so considerable as to forbid a successful rivalship, without the extraordinary aid and protection of government." All the elements of his economic plan, discussed in his five reports to Congress (available here), were central in what eventually became known as the American System, usually associated to Henry Clay. * Jefferson abhorred public debt, but was very fond of private debt, being constantly indebted. In 1815 he sold his library, in part to pay his debts, which formed the basis of the Library of Congress. José Antonio Ocampo, now from Columbia University, Aldo Caliari, from the Rethinking Bretton Woods Project, argue that a global framework for dealing with debt restructuring is needed in light of the risks posed by the vulture funds in the Argentine case. "A framework for sovereign debt restructuring is required. Late last month the Argentine government filed a writ at the US Supreme Court to have claims in its continuing legal battle with Elliott Management, a hedge fund, and other creditors heard by that higher tribunal. Every day the lack of a predictable set of rules for timely, orderly, fair and economically efficient resolutions of sovereign debt problems becomes harder to hide. Think of it as the absence of the bankruptcy procedures that exist at national level. Without them there is no speedy restitution to disputes, funding dries up and crisis costs rise. Indeed, we do not know whether a ruling in favour of Argentina will necessarily stop holdouts from continuing to take their chances in litigation. But we do know that a ruling in favour of the holdouts will make voluntary debt restructurings almost impossible in the future, thus putting further pressure to establish a statutory framework for sovereign debt restructuring mechanisms, and making the position of those who are against it, such as the US, harder to justify. We believe that a formal international framework for debt restructuring is needed. 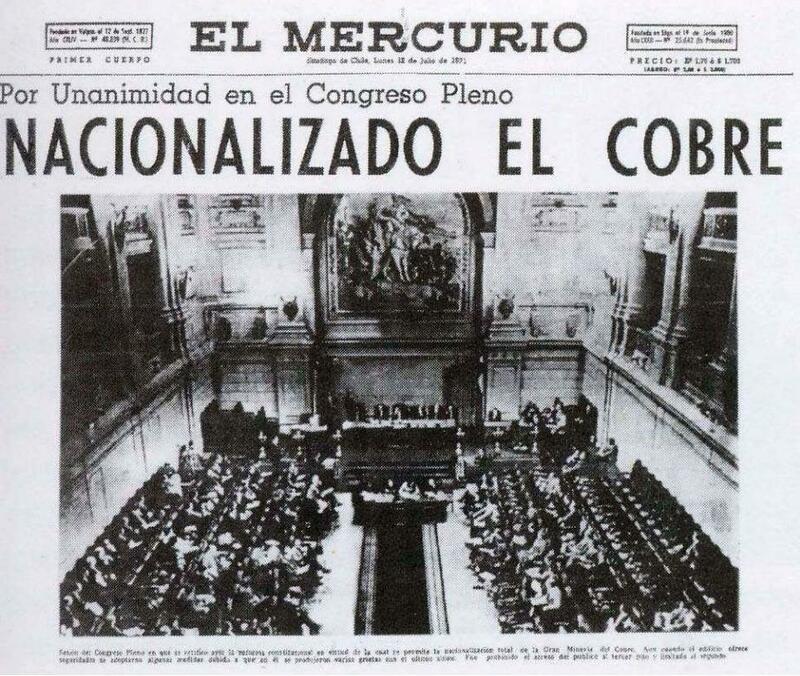 A decision against Argentina will make the negotiation of such a mechanism inevitable. If only for these reasons, this should have been a case for the US Supreme Court all along." 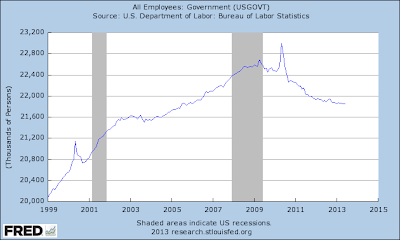 If you had any doubts, with the exception of the Census in 2010, government employment has gone down significantly since the 2007-8 recession, as shown below. The most obvious solution is to revive employment programs, like those of the New Deal, the Works Progress Administration (WPA) headed by Harry Hopkins, and the Public Works Administration (PWA) led by Harold Ickes. But in all fairness chances of that happening are slim to none. He is very clear in this interview that sequestration is one of the causes of the slowdown to 1.8% in the first quarter. Menzie Chinn also looks at the forecasts, which indicate 0.6% growth in the second quarter, and argues that this is: "no time for either contractionary fiscal or monetary policy." A new edition of Yanis Varoufakis and Stuart Holland's Modest Proposal is out, now co-authored by Jamie Galbraith (for more here). A while ago I posted on Bill McColloch's paper on the role of financial regulation during the 18th century. One of the arguments that Bill's paper tries to refute is the idea that the revisionist views that suggest slower growth in England during the Industrial Revolution (Crafts and Harley here; subscription required) was caused by crowding out (see, for example, Jeffrey Williamson here). Bill correctly points out that interest rates remained low in England. 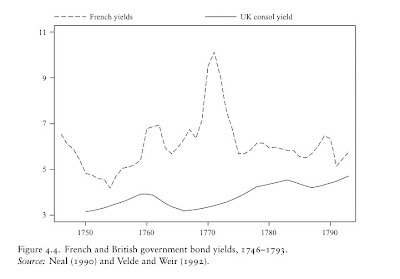 The graph below, from Dickson's classic book on the Financial Revolution shows that throughout the 18th century interest rates actually fell. 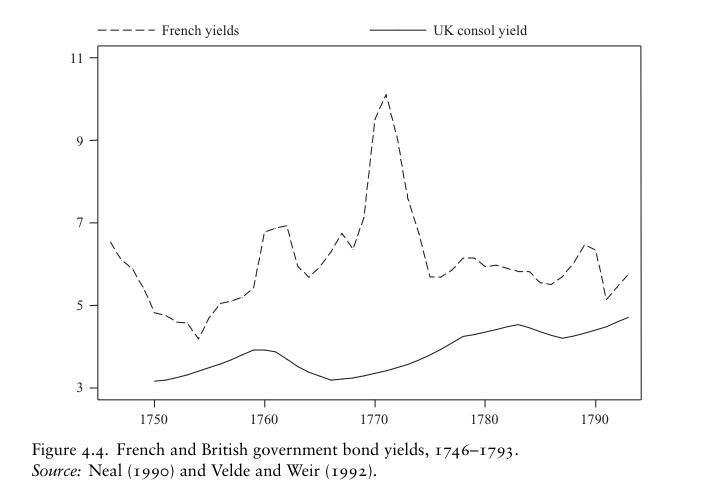 More importantly, British rates remained well below the levels of the French ones, and gave a significant advantage in their quest for global hegemony, as the graph below shows (source here). Note that even if one accepts the lower rates of growth suggested by Crafts and Harley, the explanation for the lower rates of investment should not be that surprising. Yes, the accelerator. Lower levels of growth imply one needs lower levels of investment in order to adjust supply to growing demand. Argument in one graph. 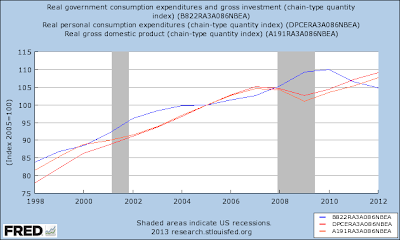 The figure below shows that private consumption (red line) fell, and then started growing, while government spending (blue line) was important for the early part of the recovery and then has become a drag on the economy. Hard to see how we are going to get out of the hole with public policy being so incredibly misguided. John King shows that other social disciplines do NOT have a unique unified mainstream, and presents a case for pluralism in economics. A few heterodox economists posted this video. For more go here. Did Inflation Bring Down the Allende Government? "Yo había explicado cómo la inflación se iba a acelerar, la situación iba a empeorar rápidamente... y entonces se me acerca Allende con quien yo había tenido la oportunidad de estar en pocas oportunidades, y me dice '¿Por qué no me lo dijeron antes?' Y es una cosa que me pesó en el corazón... al poco tiempo el hombre se suicidó en La Moneda. Y eso se lo conté a algunos que estuvieron con el gobierno de Kirchner hasta hace poco y ahora salen preocupados y tratan de abandonar el barco y no hundirse con él, y les conté esta anécdota y los insté a hablar y a hacer explícita su alarma y preocupación por la situación (...)." "I explained that inflation was going to accelerate, and things would worsen precipitously... and then Allende, with whom I had opportunity to meet in a few occasions, approaches me and says: 'Why didn't anybody tell me?' And that sunk my heart ...not long after that he committed suicide in La Moneda [presidential palace]. I told that story to some people that were members of the Kirchner's government until recently and now leaving the boat to avoid sinking with it and encourgaed them to speak up..."
So now we know. Inflation actually brought down Allende, and Frenkel almost saved the government, but was too late to avoid the military coup. And his concerns with Argentine inflation are similar now, since we are on the verge of total collapse. All jokes asides, the notion that inflation brought the government down is silly to say the least. As noted here, if anything the nationalization of copper, that did hurt transnational corporations and local elites was certainly more important [note also that by 1973 inflation was not a Chilean problem, but a global one associated to the oil shocks and wage resistance]. So resistance to reforms by powerful groups within the country were at center stage. The connections of Pinochet with US corporations and security and intelligence apparatus are also well documented. Even if Frenkel had told Allende in time about inflation ... Oh well. There are other nuggets in this interview, in particular the insistence that demand has to be curtailed even when it is admitted that inflation is essentially inertial, but I'll leave those for other posts. It seems that more and more authors at the Centro de Estudios de Estado y Sociedad (CEDES) are converging to mainstream positions, like the economists at the Catholic University in Rio (PUC-RJ) and sociologists like Fernando Henrique Cardoso in Brazil did back in the 1990s. 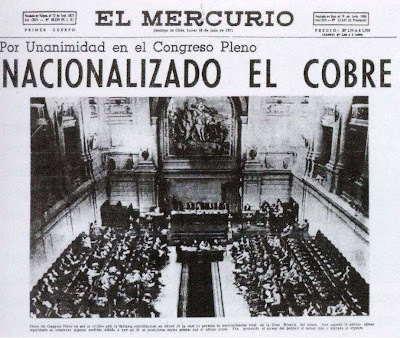 Yesterday, July 12, was the anniversary of the nationalization of copper in Chile. Allende referred to the nationalization as the most important act in Chile's history since independence (you can see parts of his speech in this documentary from Telesur here; in Spanish). Even though the government of the military coup (1973-89) weakened the nationalization, it was ultimately unable to revert the process and privatize it. This is the most direct cause of the coup against Allende, and the support from the US intelligence services. In the last decade natural resource nationalism (as noted before here) allowed for better income distribution. I avoid commenting on Mankiw's blog, since it is, in my view, the worst of the mainstream. I'm okay with Krugman, who at least uses neoclassical economics to try to understand the world (although his economics makes it difficult for him). But Mankiw is a different animal, and seems to be more about justifying the worst of conservative policies. Also, he is the sort of the leader of New Keynesians (or was at some point), which is a terrible misnomer used by fundamentally anti-Keynesian authors [Mankiw is only Keynesian when it is convenient for the 1%; he is against higher taxes, since that would make productive people like him work less; yes a good reason to for higher taxes on the wealthy indeed!]. "The field of economics offers a lens through which to view the world. 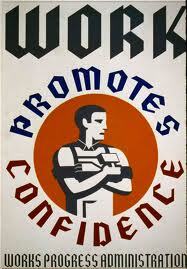 For those who buy into it and pursue it as a career, it provides a foundation of a personal and political philosophy. It forever sets you apart — for better or worse — from mere muggles. For economists working for politicians, as both Jason and I have, there is an inevitable tension between where the logic of the discipline leads you and what your political allies would like to hear." This reminds me of the title of Dani Rodrik’s book One Economics, Many Recipes. The notion is that there is only one economics, one field in which there is agreement for the most part. This myth is perpetuated, not only by Mankiw, but by the likes of Krugman and other more progressive mainstream authors too. Like Rodrik, for example. The clarification must dispel any doubts of where he stands. He may be critical of certain aspects of the globalization process, but God forbid somebody misconstructs his critique and takes him for a heterodox economist! One is led to believe that Rodrik thinks that the consequences of not being part of the ‘gang’ must be pretty harsh. In fact, in a post in his blog, nicely titled “Is Neoclassical Economics a Mafia?,” Rodrik conveys the following story: “some years ago, when I first presented an empirical paper questioning some of the conventional views on trade to a high profile economics conference, a member of the audience (a very prominent economist and a former co-author of mine) shocked me with the question ‘why are you doing this?’” Clearly his co-author was concerned with the effects that being critical of free trade might have on Rodrik’s career. Rodrik’s co-author is, most likely, just a good friend, but his question reveals a lot about the dark corners of the edge of the profession. The point is that neoclassical economics is the only acceptable 'economics', not because logic and empirical evidence compel one to follow the marginalist principles, but because of the sociological pressures of being part of the dominant paradigm and the need to engage in normal science. So being an 'economist' in Mankiw's sense might separate you from mere muggles, but it might make you a member of the Cosa Nostra! The Houthakker-Magee (HM) effect is one of those empirical regularities, like Okun's Law, that suggests that Kaldor was correct when he talked about stylized facts, and that indicates that economics might actually aspire to be a more serious scientific endeavor (in spite of economists, of course). The HM effect says that the income elasticity of imports in the US tends to be about double the size of the income elasticity of exports, and as a result the US has a tendency to run trade deficits if it grows at the same pace than the rest of the world. Several more recent estimates of the HM (the original Houthakker and Magee paper is from 1969*; subscription required) confirm the persistence of the phenomenon. Peter Hooper and Jaime Marquez are responsible for more than one of those more recent estimates (see, for example, here with Karen Johnson), which also suggest that income elasticities are considerably larger than price elasticities. In particular they note that, at least for G7 countries, imports are not responsive to changes in the real exchange rate. They estimate that US export and import income elasticities are 0.8 and 1.8 and that everything else constant, and, if the US grew at the same pace than the rest of the world, a depreciation of 2.8% in real terms per year would be necessary to maintain the trade balance. Mind you, the question of whether the US needs the depreciation (at the point they wrote the paper, actual depreciation had been more like 1.1% per year) is a different question. The role of the dollar allows the US to run deficits that other countries could not, so the external constraint does not play a role in this case. But that was discussed before (here). * Note that Houthakker and Magee cite in their paper the previous work by Neisser and Modigliani done at the New School, which was, as far as I know, the first estimation of the US trade elasticities. The global economy needs exchange rate coordination now. Absent that, the world is likely to be increasingly afflicted by exchange rate fluctuations and policy acrimony. These are bound to undermine the economic recovery and increase the likelihood of stagnation. "In an attempt to control for fiscal policy, we also included measures of central government expenditure in our first estimated equations. Since the estimated coefficients were always negative (the wrong sign), small, and statistically insignificant, the government expenditure variable is excluded from the results reported here." So in his view (and his co-author, Harold James) fiscal policy was not relevant for industrial recovery. This view was challenged here (a significantly modified paper was accepted for publication). It is worth remembering that the current state of the profession, in which Keynesian ideas are in the defensive and austerity is king, is at least in part the fault of New Keynesians. Real wages are pro-cyclical, a well established regularity that led Keynes to accept (after evidence presented by Tarshis and Dunlop) that his marginal decreasing productivity demand for labor might be wrong, and that Kalecki seemed to be right (see his article here; subscription required). 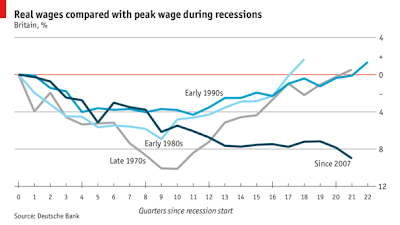 The graph below (source here) shows how much real wages have fallen in this and previous recessions in Britain. Note that in the following one, real wages fell less (so far) than during Thatcher, but the decline has been way longer than with the Iron Lady. "Both Krugman and Hayek have argued quite consistently that there was a 'natural rate of interest' which according to Krugman is “the rate of interest that would match desired savings with desired investment at full employment. “ Hayek makes the same argument in his writing. This interest rate is not the interest rate set by the central bank, indeed it is not an interest rate set on any market. It is a hypothetical interest rate which we will finally know if or when full employment returns." Note also that Hayek's model, like Keynes' in the Treatise on Money, was quite Wicksellian. So Nathan and Lance might be onto the same thing in fact. "The first step in such a process is to loan food and valuables to impoverished neighbors. The second step is to foreclose on the loan. Families who accept food and shelter from wealthy neighbors are in a poor position to deny the latter’s claims to luxury items and hereditary privileges." As much as historians (noted here and here before), anthropologists do work with the concept of surplus. For that reason they note that societies in which there is a significant surplus have more opportunities for inequality. The basis of Flannery and Marcus' explanation for the deep causes on inequality are associated to the work of another anthropologist, Irving Goldman, who suggested three causes for inequality, namely: a religious life force associated to a leader, a particular kind of expertise, and physical and military prowess. Often a combination of three were necessary. So you can think of early agricultural societies as ones in which certain social groups were capable of extracting surplus from other groups, as a result of their technical expertise, and a combination of religious and military power. And as much as societies have changed throughout the millennia, it is still essentially true that it is the ability of one group to extract surplus from another that determines income distribution. Mechanisms have changed, so weakening trade unions, maintaining higher average unemployment through macroeconomic policies, using trade and tax policies to weaken labor and strengthening corporations and so on are a few of the instruments used now to create inequality. And yes, debt still is a way of subjugating particular classes and countries. PS: By the way, Flannery and Marcus say that: "the worst inequality results not from the granting of new privileges to the people on top but from the removal of existing privileges from the people on the bottom." And this is based on historical and archeological records, not the current right-wing strategy of eliminating the protections of the Welfare State. Note that in terms of per capita GDP China is still a relatively poor country, given differences in population size. However, from a macro point of view, Chinese demand now plays an important role in the world economy. The paper linked here before, has now been published as a working paper in English in the Network IDEAs website here. Keynes had a profound influence on Prebisch not only in terms of the diagnosis about the main failures of market economies but also on the need to pursue pro-active and anti-cyclical policies. Further, both economists dedicated their efforts to expand the policy autonomy of their respective countries and regions. However, Prebisch was critical of some aspects of Keynes’ main work, The General Theory of Employment, Interest and Money (1936). This can be explained by a difference between the two economists in their object and method of analysis. Prebisch’s interests focused on dynamics and the cycle, themes that were peripheral to the central message and analysis of the General Theory. Prebisch’s Keynesian influence and his rejection of Keynes’ magnum opus explain why Prebisch is often described as the Latin American Keynes, even as he is portrayed as concerned mainly with the long- run development problem of Latin America without consideration of demand factors. My limited knowledge of Newton's involvement with the Gold Standard, as the Master of the Mint, came from Barry Eichengreen's discussion in Globalizing Capital [a book that is very influential in spite of his claim that a variation of Hume's specie-flow is still the best view of balance of payments adjustment; for a critique go here or here; mind you the book is the best description of the mainstream views of balance of payments adjustment in historical perspective]. In that book he suggests that Newton got the price of silver incorrectly against gold, a too low gold price for silver, with the consequence that Britain moved effectively into a Gold Standard by accident. In this view, the new supply of Gold from Brazil, and the undervalued price of silver explain the slow move into a Gold Standard. The more recent book by Thomas Levenson, not an economist (that's often good), Newton and the Counterfeiter, which is more of a police story, suggests that Newton was well aware of the correct exchange rate between gold and silver, but was prevented from changing it by political reasons. He cites two reports by Newton an early one from the mid-1690s arguing that gold was cheaper in France leading to silver scarcity in England, and another one from 1717 or so suggesting that the problem was that gold was much cheaper in China and India, and that arbitrage opportunities moved silver eastward. Other than that Newton seems to have been favorable to paper currency an other financial innovations (getting famously entangled in the South Sea Bubble). 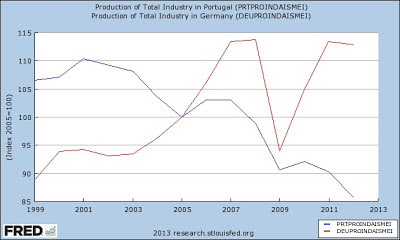 The Portuguese economy is not in the headlines as much as the other peripheral economies in crisis, but the troubles, and its political consequences are no less deep. Austerity has led to a collapse of output, that fell by around 4% in the first quarter of the year, the worst fall after Greece and Cyprus, respectively. Spreads with German bonds hiked, and two coalition ministers have resigned. However, this has been a long crisis in the making. 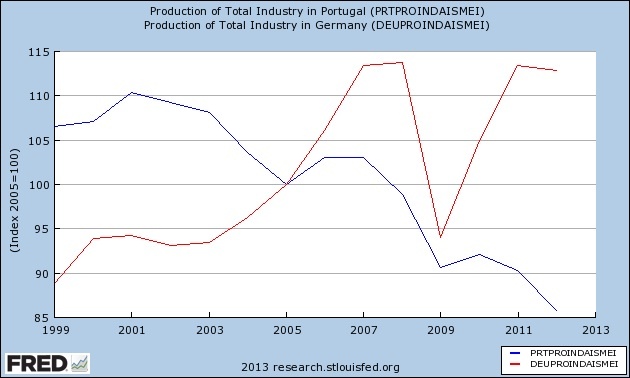 Graph below shows industrial production (index equal to 100 in 2005) in Portugal and Germany, since the euro. Note that the trend is there from the beginning. And it should have been expected too. No reasonable model predicts that with capital mobility and no barriers would lead to production to be spread rather than concentrated. Other than major fiscal transfers, the euro arrangement was unavoidably going to create increasing disparities. And by the way, the political crisis cannot end, if the economic collapse continues. The fairy tale the super rich earn their money is exactly what it is, a fairy tale! Larry Mishel has a useful blog up responding to Greg Mankiw’s piece defending the top 1% (for much more discussion of Greg’s essay, start here and click through the many links).I’ll get to Larry’s point in a moment, but one thing re Greg’s paper. Much of the criticism, which I’ve (predictably) found resonant, is directed at a) his failure to comprehend that the opportunity set facing families and their kids on the have-not side of the inequality divide is diminished, and b) the role that inequality itself has played in that outcome (I’ll have a second post up soon on point b—it’s one I’ve consistently stressed in these parts). Bureau of Labor Statistics (BLS) released the data on the job market today. From the report: "Total nonfarm payroll employment increased by 195,000 in June, and the unemployment rate was unchanged at 7.6 percent. Employment rose in leisure and hospitality, professional and business services, retail trade, health care, and financial activities." At this pace, the recovery will take a whole 10 years to recover from the 2007-8 recession. Yes employment levels will surpass previous peak in 2017. 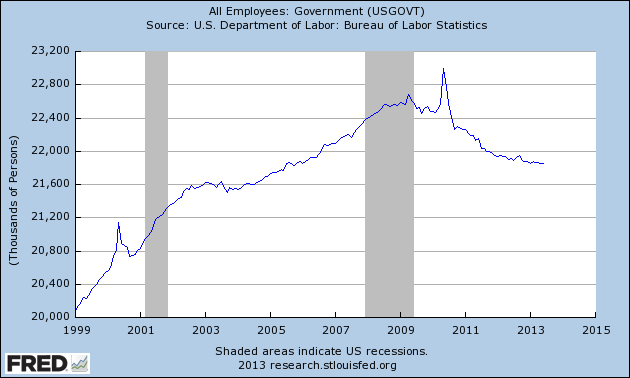 We need around double that number (400,000 jobs per month), at least, for a healthy recovery. 2013 marks the 25th volume of the Review of Political Economy and, to celebrate, the Editors have selected their top 25 articles from the past 25 years and made them free to view for the remainder of 2013. This collection includes a paper by the joint first Nobel Laureate in Economics and a wealth of other leading papers in the field of Political Economy from the last quarter of a century. Last week I taught a couple of classes on financial crises, including Minsky's ideas. Lance Taylor's paper (with Stephen O'Connell; subscription required) is probably one of the few discussions of Minsky in a mainstream journal (in the Quarterly Journal of Economics, the working paper series of Harvard and MIT), and one of the last heterodox papers published on any topic, by the way. Lance's paper, as he admits leaves out a lot of the institutional richness of Minsky's ideas. In Lance's model the crisis is fundamentally based on expectations about future profits, and the determination of economic growth is demand determined, but based on a Cambridge equation model in which profits determine investment. It's fundamentally a profit-led regime (for a critique of these kind of closures see here). In this view, the crisis is brought by a sudden decline in confidence (although a hike in the rate of interest would work too), which leads to a contraction of growth, and even lower expectations of future profits. Eventually, if the central bank continues to 'lean against the wind,' in this simple version by expanding money supply, the expected profits would pick up and the economy would recover. The paper lacks the Minskian notion of firms and individuals getting increasingly indebted, with ever higher leverage ratios, as a result of competition, or worsening income distribution. Note that Godley's framework [Godley arrived at the Levy Institute, if I'm not wrong, right before Minsky passed away, so for a while they were both there] suggests that private debt accumulation was one, and the crucial, unsustainable process in the US economy. Keen provides a more recent formalization of Minsky's ideas worth looking, suggesting that is essential for understanding the Great Recession. Palley, on the other hand, suggests that while important Minsky's model does not provide the whole picture. "In a sense the democratic process wrote its own evaluation of controls: Selective controls were a failure; the hold-the-line policy was initially a success; but failed when, at the end of the war, the constraints on collective bargaining and rationing became too confining. The statistical record, on the whole, tends to confirm this judgment. Perhaps the simplest question is, Did controls "work" in the elementary sense that the rate of inflation was kept below some arbitrarily small figure, say 5 percent per year? The answer that emerges (Table 4.3) depends on the particular subperiod one examines. From April 1943, when President Roosevelt issued the Hold-the-Line Order, until June 1946, when controls temporarily expired, inflation was held to a measured rate of only 2.3 percent per year. The true rate was probably somewhat higher, but even with an allowance for errors in the published index - an estimate of inflation partially corrected for these errors is in parentheses - controls were a success in this elementary sense. On the other hand, under less than total control the rate of inflation was not effectively restrained. Of particular interest are the periods April 1942 to April 1943 and February 1946 to June 1946 which give the rate of inflation under the General Maximum Price Regulation and under President Truman's reconversion policy, respectively. In both cases the economy was under extensive price controls, but in neither case was the rate of inflation held down. The difference seems to be that during the high tide of price controls, they were backed up by a vigorous enforcement effort and three important supplementary measures - wage controls, the seizure of noncomplying industries, and rationing both of resources and of final products."